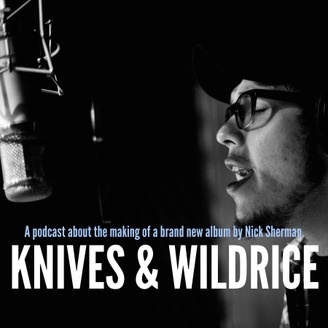 Knives & Wildrice is a podcast that takes you behind the scenes of the making of a brand new studio album by Anishinaabe singer/songwriter Nick Sherman. Knives & Wildrice will give the world an unprecedented look at the successes, failures, challenges and victories of being an emerging talent on the rise. 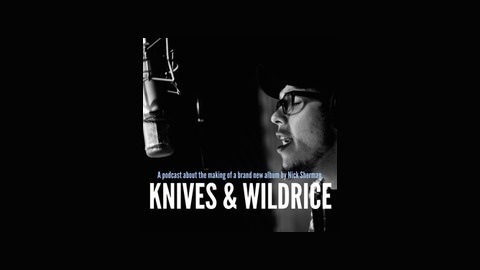 In this episode of Knives and Wildrice Nick launches his indiegogo campaign to the world. This episode starts with the difficulty of building, keeping & growing momentum as an independent musician and facing the decision to pack it in or keep going. Nick has elected to keep going and the world is better for it! The fundraiser has begun - Nick breaks down the team, details on the studio, the perks for helping to fund the project & more in this episode. AND. If that's not enough - a bunch of unreleased music drops on this episode!